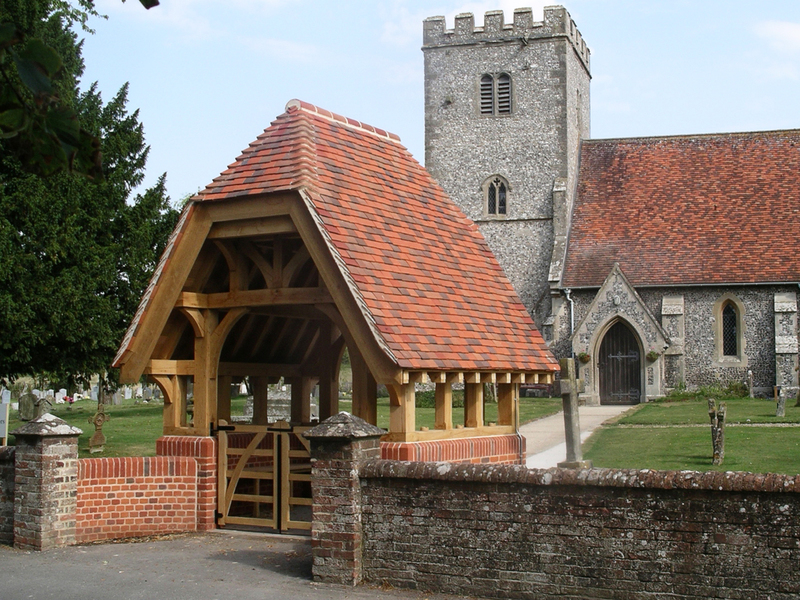 Our client was in receipt of a bequest that proposed a lych-gate at the church entrance. The church, and some headstones, had Listed Building protection and this extended to the boundary wall as curtilage structures. Given the setting a traditional design was agreed with oak frame, tiled roof and brick walls. We undertook the design, obtained planning consent, prepared specifications and obtained tenders, arranged the contract and acted as contract administrator.